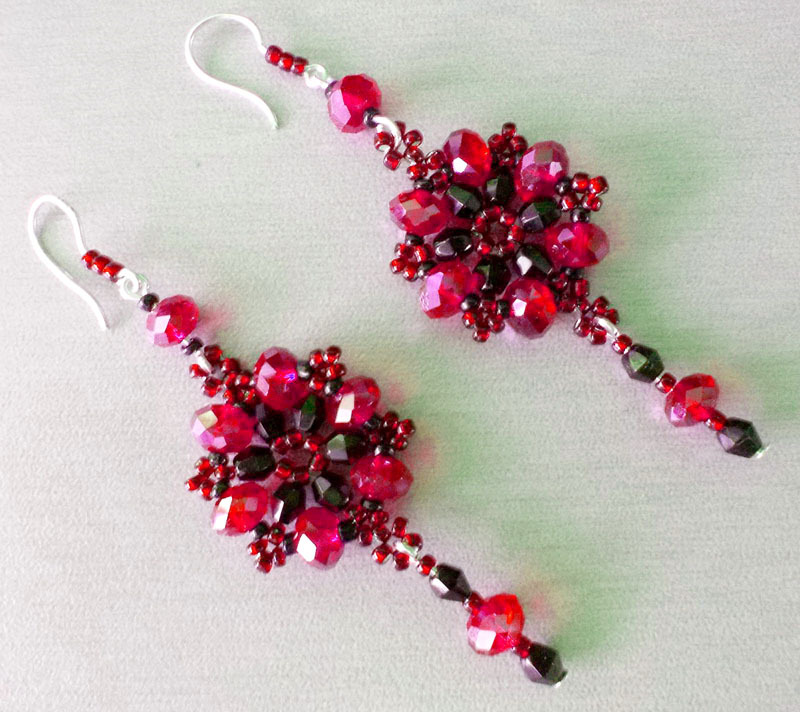 Free pattern for central element of beautiful beaded earrings Persia. 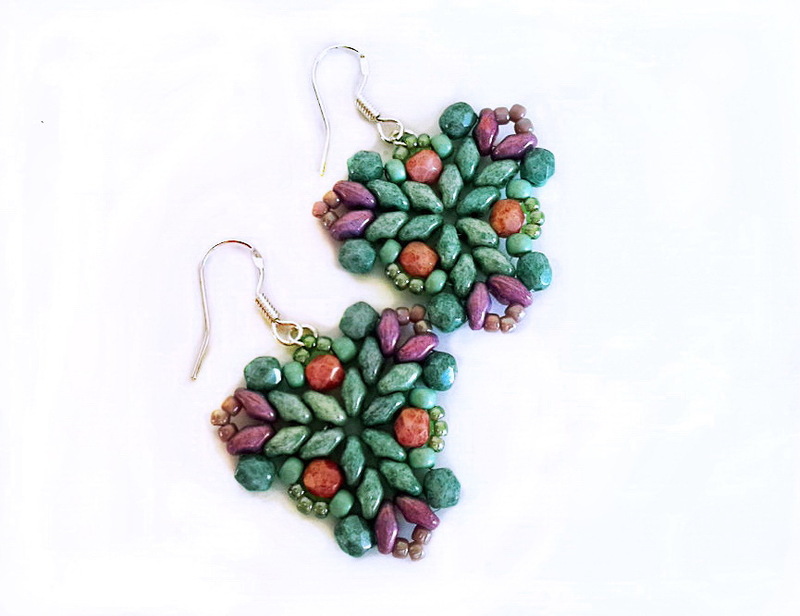 Can you tell me who’s pattern the Persia earrings is? A link? 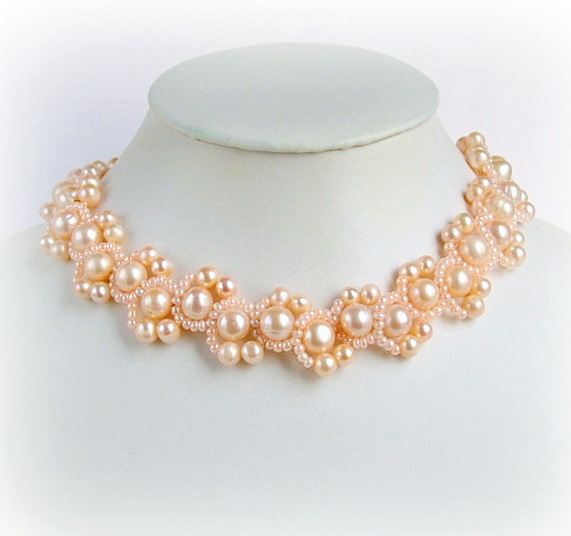 This looks really easy.I think I’m going to do this very some.Thanks Bead Magic.Love your site.It always gives me lots of inspiration. Very soon I meant to write.Silly me.LOL. 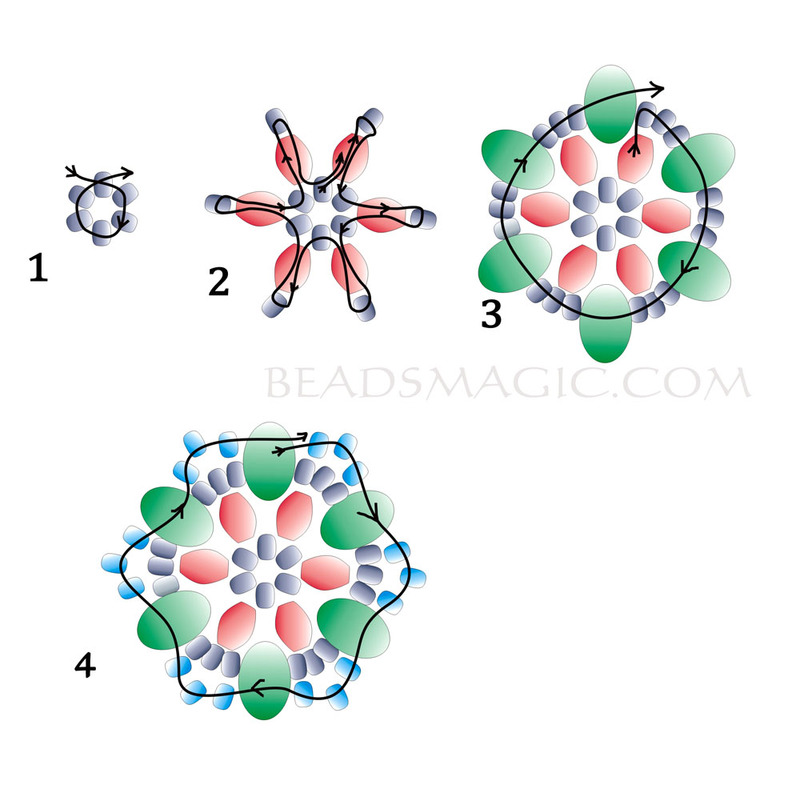 Are the rondel beads 5 mm 5mmx8mm or smaller? 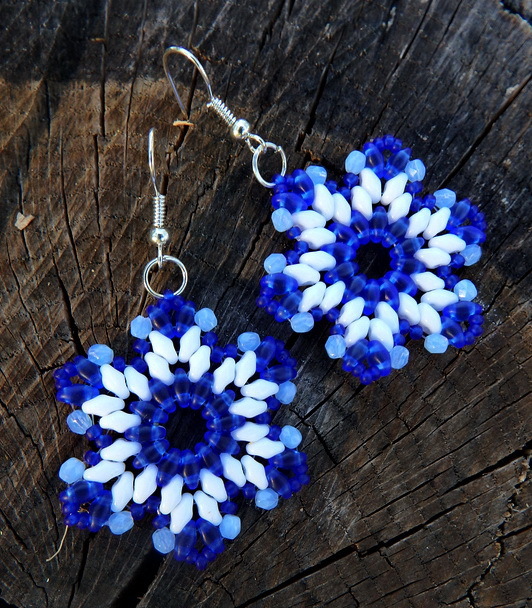 This pattern is not correct, no 4 doesn´t show the right way through the beads. I made another version with drops instead. The thread must go through a seedbead on each side of the rondel beads. I noticed there are a couple of places where the thread path isn’t charted correctly. In step 3 coming out of the bicone if you want to use two different colors of 11/0 you need to add an 11/0, a rondelle, and 11/0 then go through the 11/0 at the top of the next point around. Step up in step 4 to the first 11/0 in the group of 3, add 3 11/0s then go through the last 11/0 in the group of 3 to form a picot. Hope this helps anyone attempting this pattern. 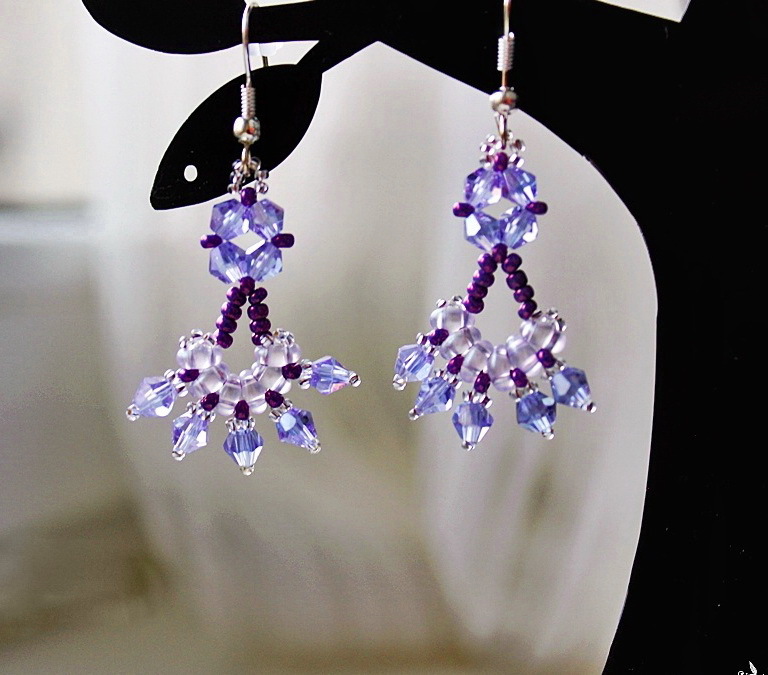 I used two colors of 11/0s, 5x3mm rondelles and cornerless cube crystals 4mm for mine. I am regular reader, how are you everybody? This paragraph posted at this web site is truly nice.